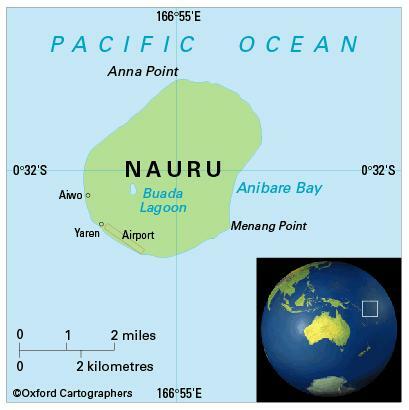 Nauru’s economy is entirely dependent on its dwindling phosphate deposits. The government recognises that diversification of the country’s economy is the way forward, and since diversification necessitates skills development, education is a national priority. There are 11 years of compulsory education starting at the age of six. Primary school comprises six years and secondary six, with cycles of four and two years.The school year starts in January. Students go overseas for higher education, mainly to Australia and New Zealand, and scholarships are available for this. Nauru is a partner in the regional University of the South Pacific, which has a centre in Nauru and its main campus in Suva, Fiji.